The QF-46 is designed with next-generation optical instruments and laser machines in mind. The QF-46 can perform better than competitive offerings with larger and heavier higher numerical aperture (NA) objectives due to its higher inherent stiffness. It is perfect for any demanding optical application requiring high precision and throughput with long travels. It is guided by precision flexures that are optimized using finite element analysis to ensure high-stiffness and long device life. 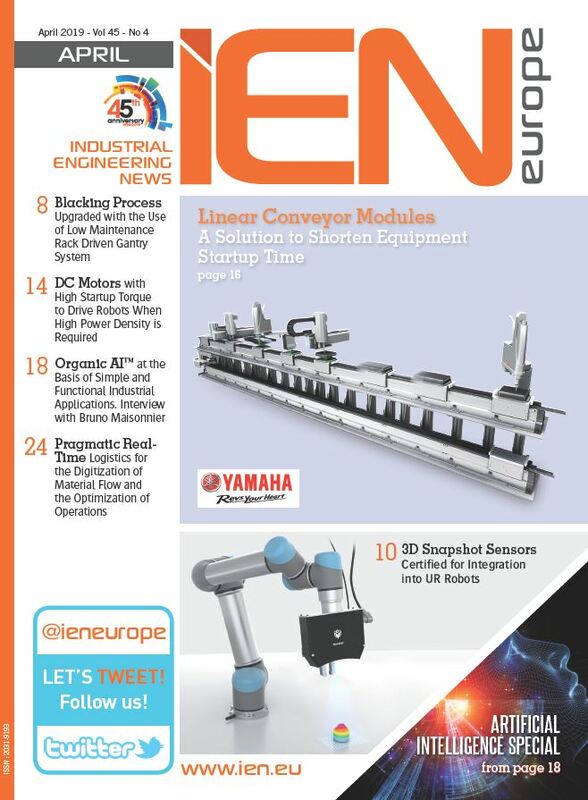 The resulting design offers outstanding stiffness and resonant frequency enabling high process throughput and fast closed-loop response. In addition, the QF-46 has been designed to provide excellent geometric performance (straightness and angular errors) for critical microscopy and optics positioning applications. The piezo stages have the option of closed-loop feedback (-C) using a unique capacitive sensor design that results in sub-nanometer resolution and high linearity. The capacitive sensors measure the output of the positioning carriage directly, enabling superior accuracy and repeatability. When coupled with Aerotech’s Q-series controllers and drives, the QF-46 demonstrates sub-nanometer positioning resolution (0.30 nm closed loop and 0.15 nm open loop), in-position stability (jitter), and high-positioning bandwidth. Software options such as Aerotech’s Dynamic Controls Toolbox and Motion Designer packages provide advanced yet easy-to-use tools such as Learning Control, Harmonic Cancellation, and Command Shaping to improve tracking errors and step-and-settle times. QFOCUS QF-46 is available with threaded adapters to fit most microscopes and objectives. 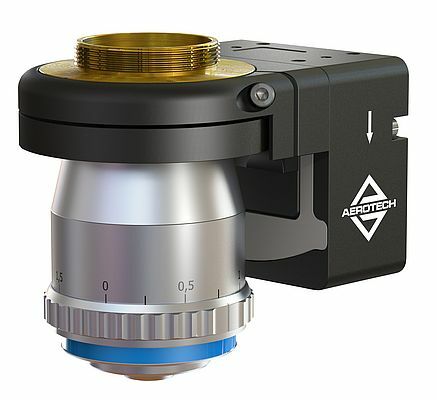 The microscope turret mounting allows easy and fast positioning at the desired orientation. Tapped holes on the stage body provide alternative mounting for custom interfaces in machines or other optical instruments. The QF-46 is available with a clear aperture up to 29 mm. Custom stage designs, travels, and threaded adapters are available.